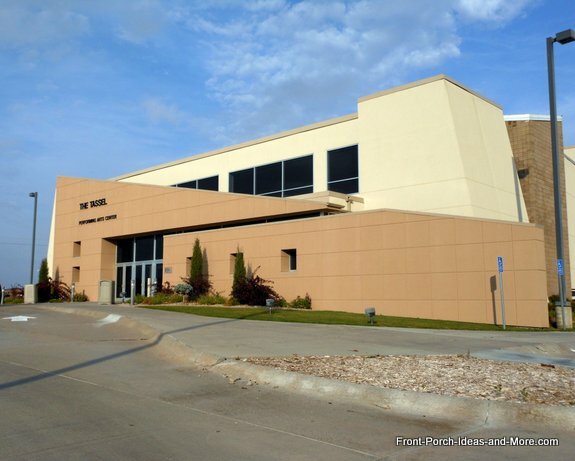 Holdrege Nebraska boasts it has some of the region's finest amenities like a performing arts center, a modern hospital, a wonderful YMCA, great schools, and "houses with inviting porches". 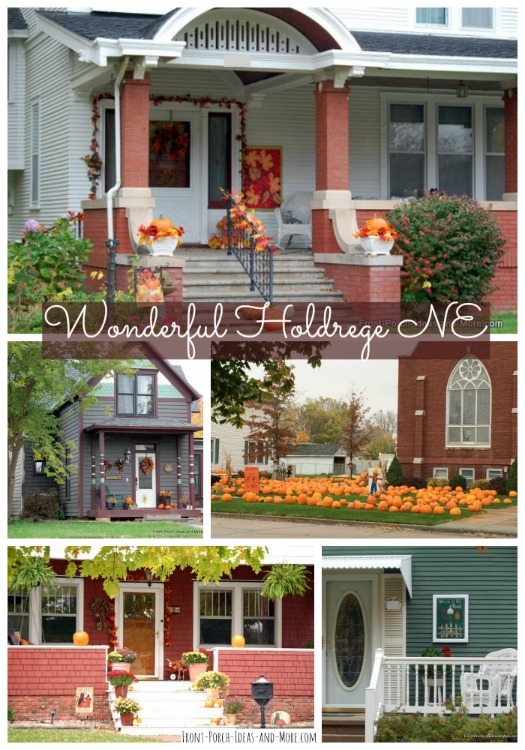 You'll find wide streets with quaint homes, bricked intersections, friendly folks, and plenty of front porches to adore. 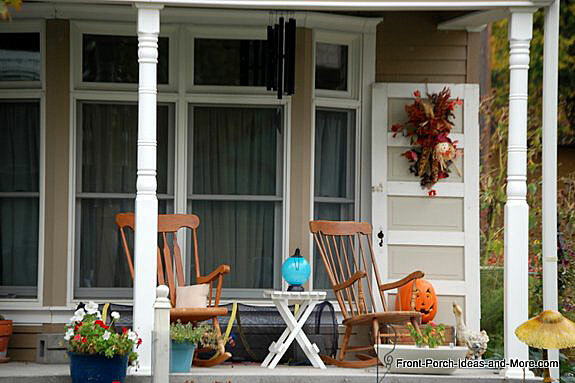 Mary and I had a great time on an autumn day finding some pretty neat porches which we want to share with you. 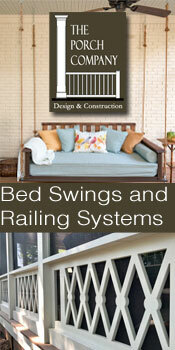 We found a wide variety of porch designs from which you can get plenty of ideas for your own porch. 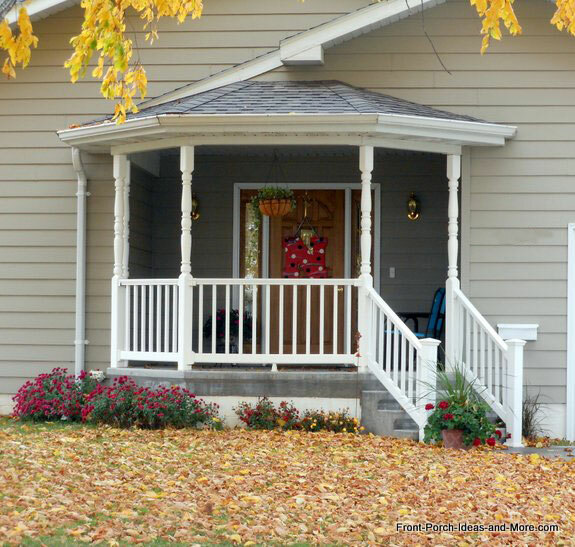 We'll not only show you some beautiful porches in Holdrege Nebraska but also offer information about porch designs and options you can use for your porch. 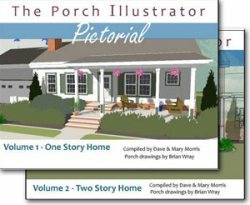 These porches offer many ideas you can use to enhance, design, and decorate to create an amazing porch on your home. 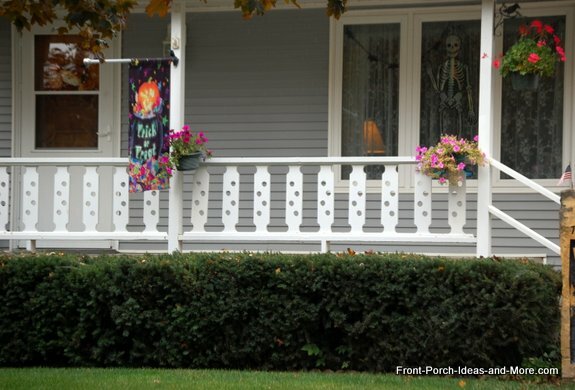 Take a look at this pretty porch decorated for autumn. How welcoming! Sawn balusters like those in the photo below are ideal for adding charm to most porches. 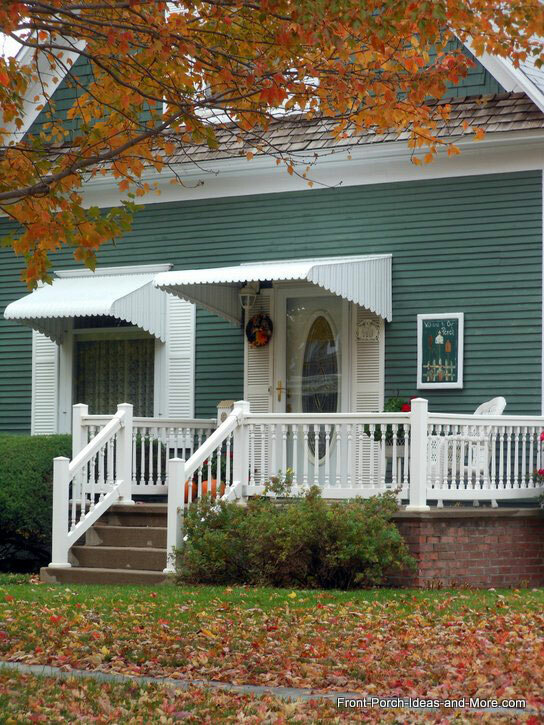 Ideally, they work best on Victorian style homes; however, you can use them quite easily on country, farmhouse, and other similar porches. 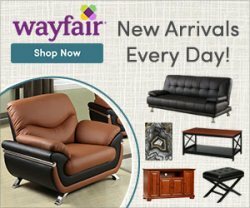 If you like the look of sawn balusters, be sure to see our entire section and photos. 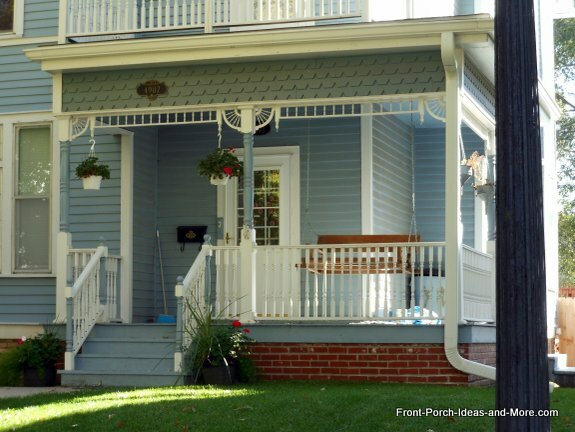 Speaking of Victorian porches, this porch has traditional column brackets and running trim. 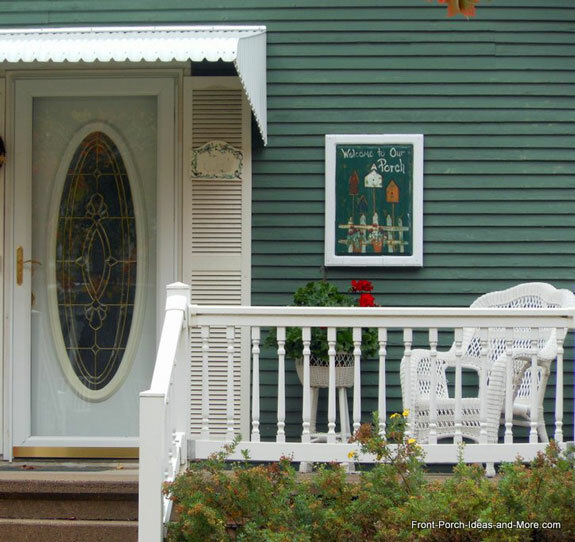 Combined with turned balusters (railings) and aesthetically pleasing paint, this front porch is truly charming. 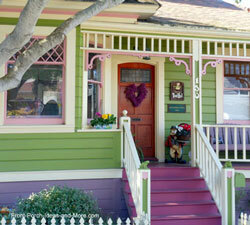 The paint makes this a Victorian-style front porch (below). 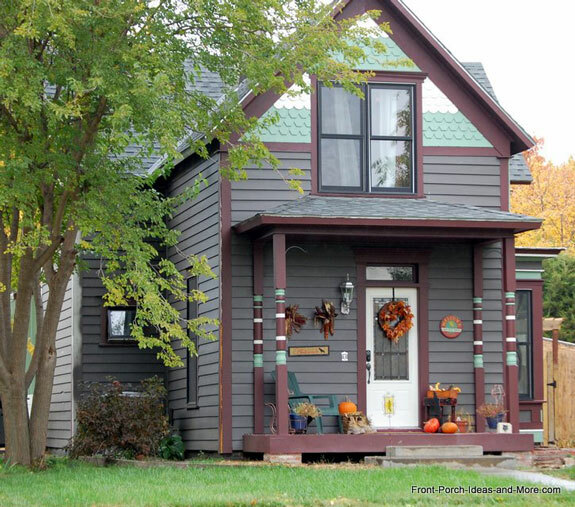 Although it doesn't have all the ginger-bread trim, the colorful turned front porch columns are typical on Victorian homes. 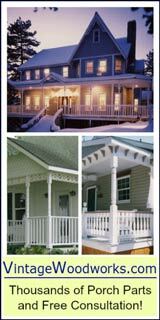 If you love Victorian homes and porches, be sure to see our portfolio for more ideas. The mansard porch roof, in lieu of a shed roof, is ideal for expanding the depth of a porch (although this one is fairly shallow). 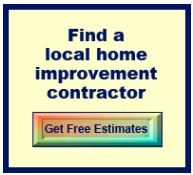 It is commonly used when the slope of a shed roof is limited by the second story window above the porch. 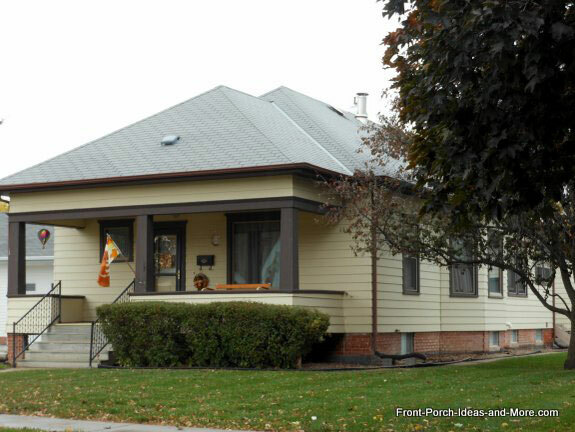 This is somewhat unique, a mansard roof extended from a hip roof to form the front porch roof. It is about the only porch roof you can choose when faced with this issue. I can imagine how much fun it wood be to grow up on this porch! Mary and I really like this porch roof. All too often, a simple shed roof (or no roof at all) is built to cover the front door. 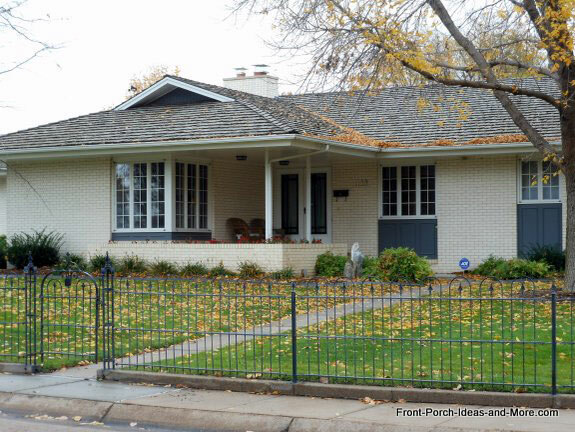 This roof allows the owners to extend the front porch and equally important, it adds lots of charm and appeal. We are often asked what type of roof works best on L-shaped homes. The front door is usually located in the corner of the L, making it difficult to match two different roof lines. 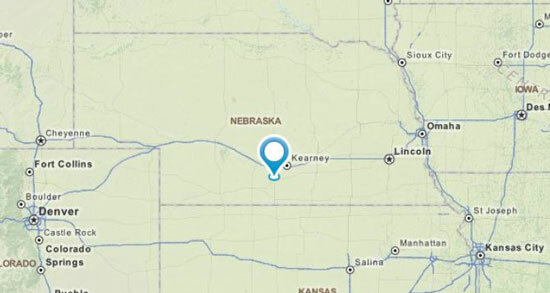 This is a great option (below). In lieu of a gable roof, this gable/mansard roof combination works perfectly. We often tell people that once you have the porch roof design determined, building the rest of the porch is relatively easy. 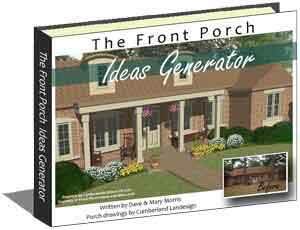 See our porch roof design ideas section for more innovative ideas. Many people have porticos or very small porches but would like more area with which to entertain. This is one of our favorite options - a patio porch. The metal awning (below) provides protection from the weather and the patio area is perfect for relaxing or entertaining. All dressed in white, this combination is a real charmer! 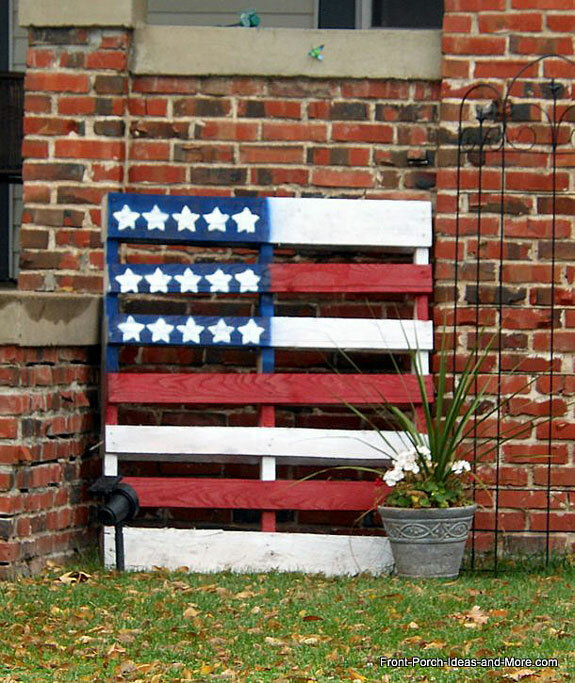 We love the porch outdoor wall art. 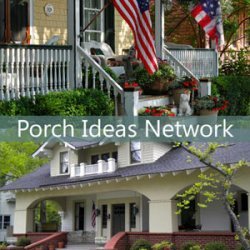 We love sharing decorating ideas we find on our porch trips and thought you might like these. 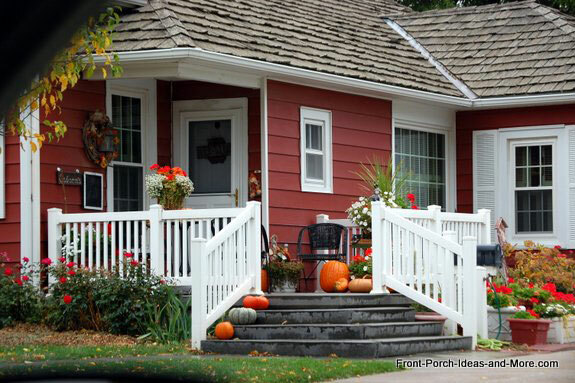 Porches love rocking chairs but we especially liked the door with the wreath; it adds a special touch. 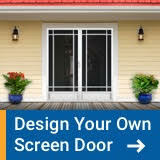 You could also use an old screen door as well. Although Nebraskan's love their Cornhuskers, we really like the unique "twisted" brick porch columns! 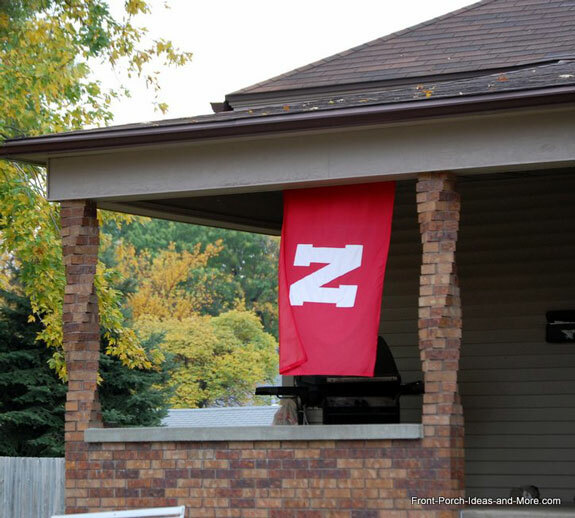 It wouldn't be Nebraska without Cornhusker Pride! Clever idea for any time of year. 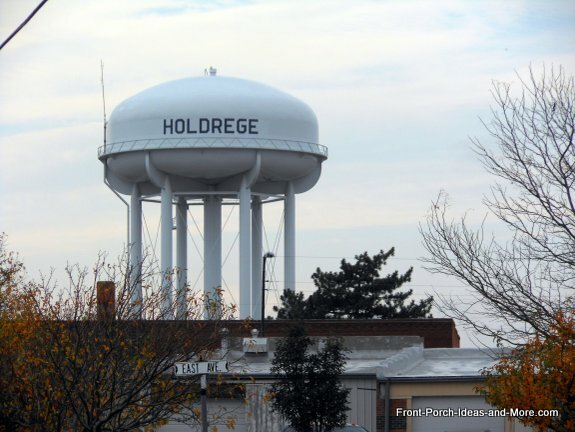 If you ever get the opportunity, please visit Holdrege, Nebraska. It is a wonderful small town with fantastic porches.